Such as it is, the colour in the sky on this night walk round Hemlington Lake is a reflection of the urban lights in Middlesbrough. Despite travelling north east for the new year, the weather didn’t improve much for us and so the street lamps had plenty of cloud cover to reflect their yellow-orange glow. 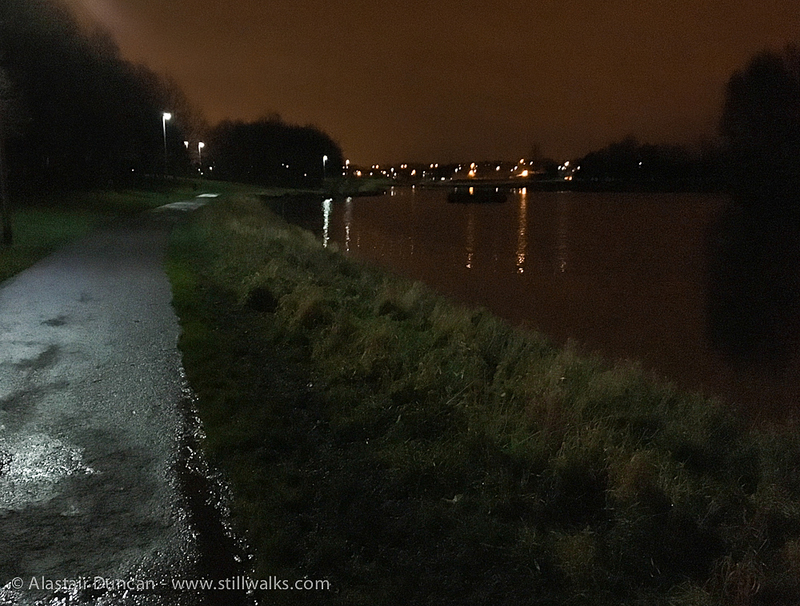 It didn’t actually rain much on me during this walk and I really enjoyed the subdued colours, the silhouettes of trees and the night sounds of coots on the water. 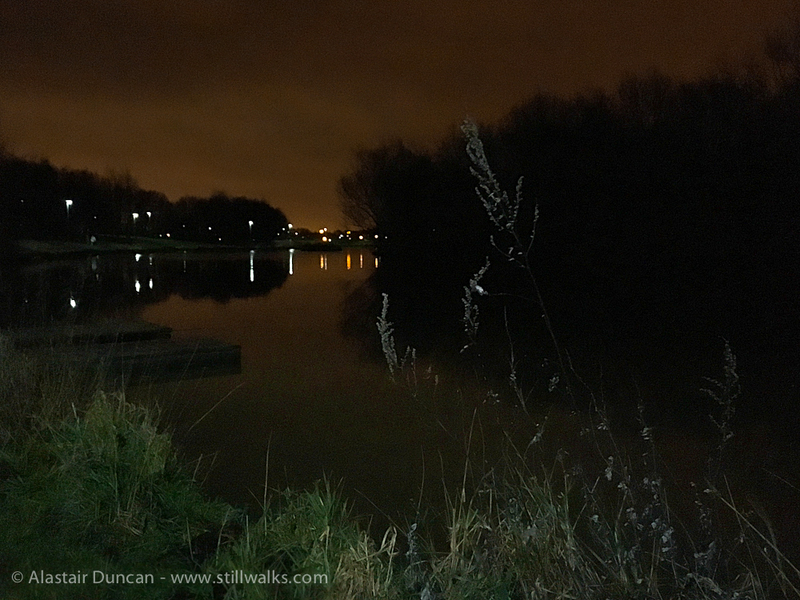 Posted in iPhonography, Landscape, Travel, Urban, Walks and tagged clouds, colour, Hemlington, iPhoneography, Lake, Middlesbrough, night, night sky, night walk, photography, reflections, silhouettes, urban, urban walks, walks, water. It’s great to see the same area under another light. While everything was clear and visible before, it’s all shadows and outlines now. Thanks Allysse. 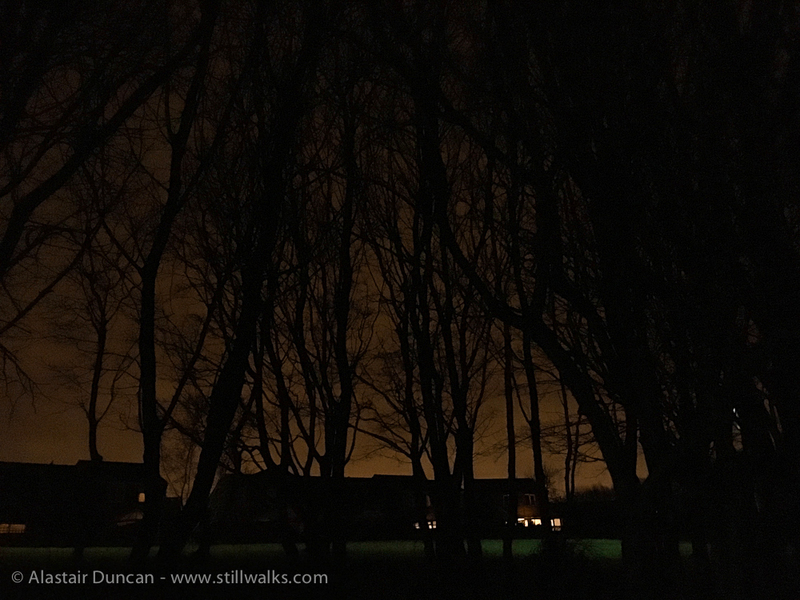 Although it’s not what I originally expected to do, I am quite pleased that it ended up a night walk – the same place in a very different light. Love your night time reflections. Your night walk sounds very relaxing! Thanks, it was certainly different to my usual daytime walks there. Night walks are so different. Love the last image with the silhouette of the trees, Alastair.